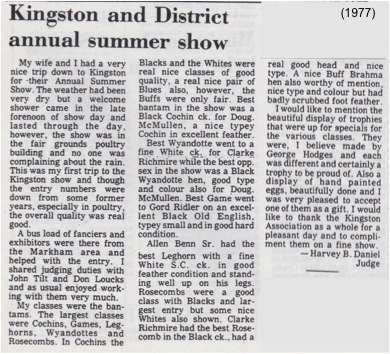 The KDPPSA was formed in 1962, and has held annual shows since 1963. 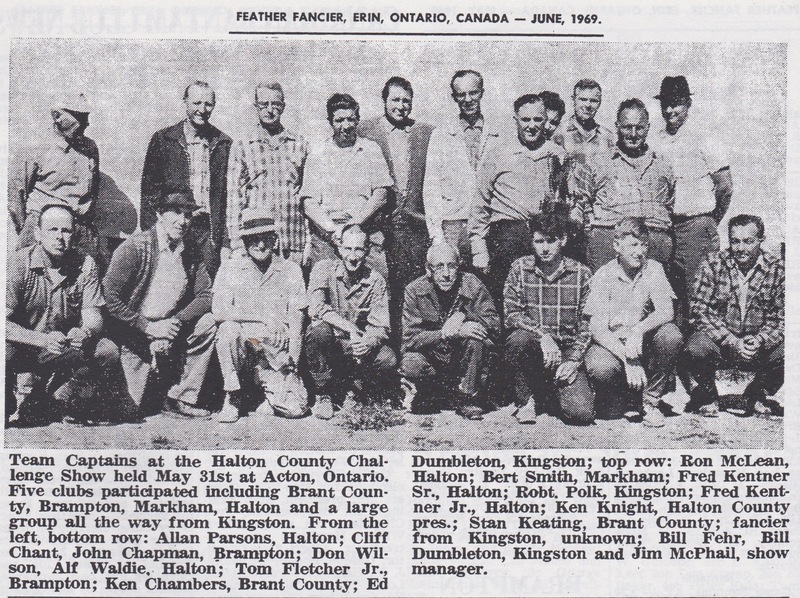 During that time the Club has grown, with a number of other Clubs joining the KDPPSA fold. 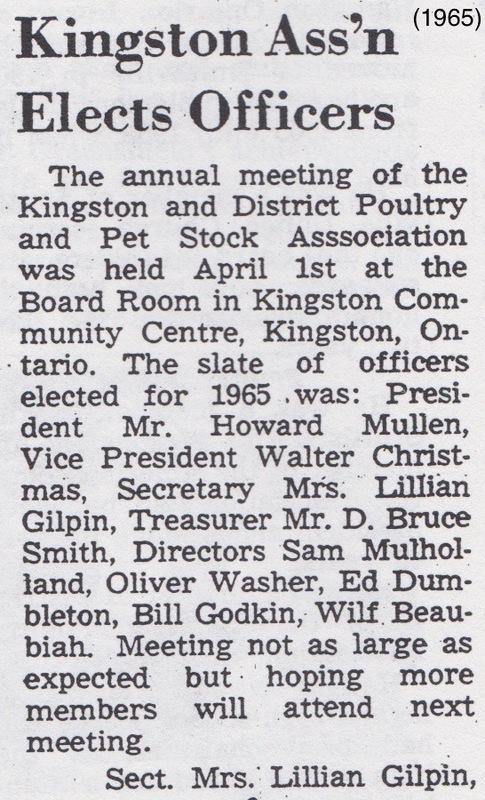 The first KDPPSA meetings were held at the Kingston Fairgrounds. 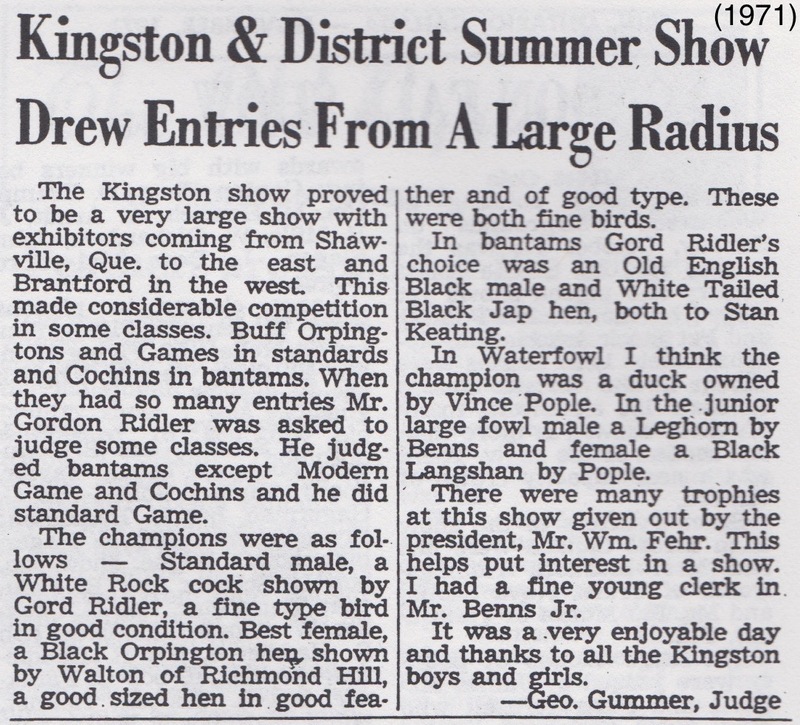 They were later moved to the Hartington Community Hall, and more recently the palace building at the Odessa Fairgrounds. 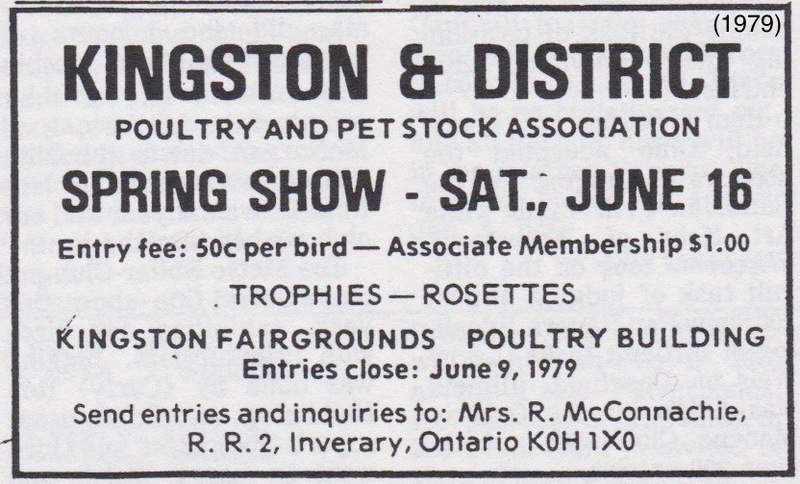 Shows were held both at the Kingston Fairgrounds and at Odessa. 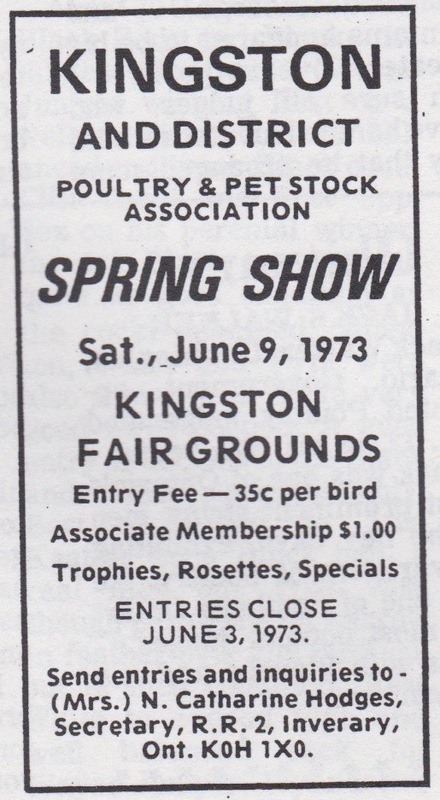 In about 1975, arrangements were made for the Club to erect a permanent poultry building at the Odessa Fairgrounds, after which the majority of Club shows were held in Odessa. This section is something of a "Hall of Fame" where we pay tribute to fanciers who played particularly important roles in building and supporting the KDPPSA. We note that this list is by no means complete, and we encourage anyone with additional information and photos about our current honorees or suggestions for additional people who could be added to the list to contact us. 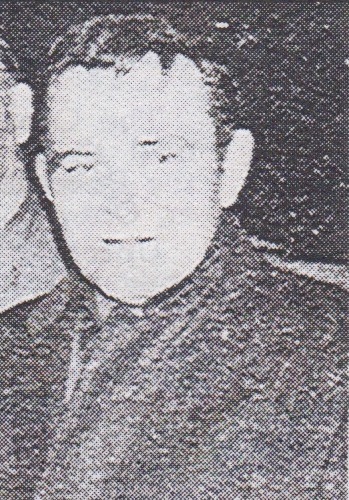 Walter ("Walt") Christmas was a long time KDPPSA member who served as the Club's President for many years. 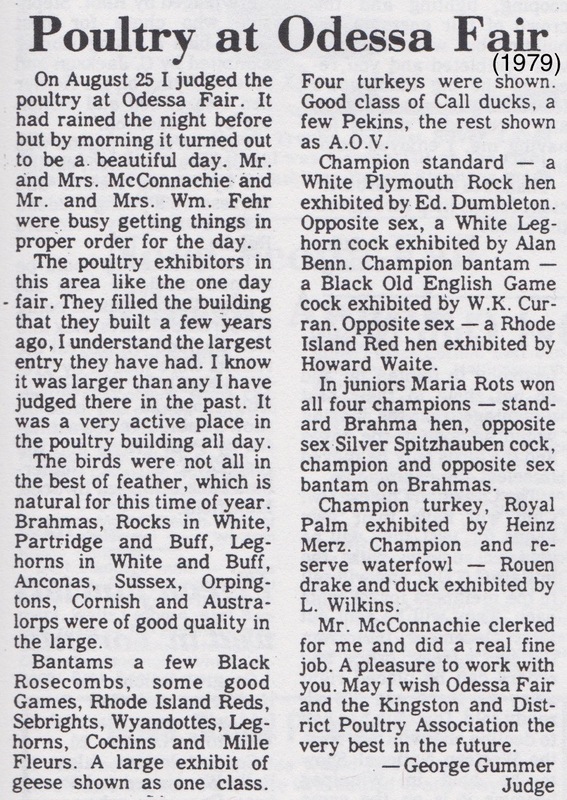 He raised and showed many varieties of poultry and pigeons, and especially loved Old English Games. 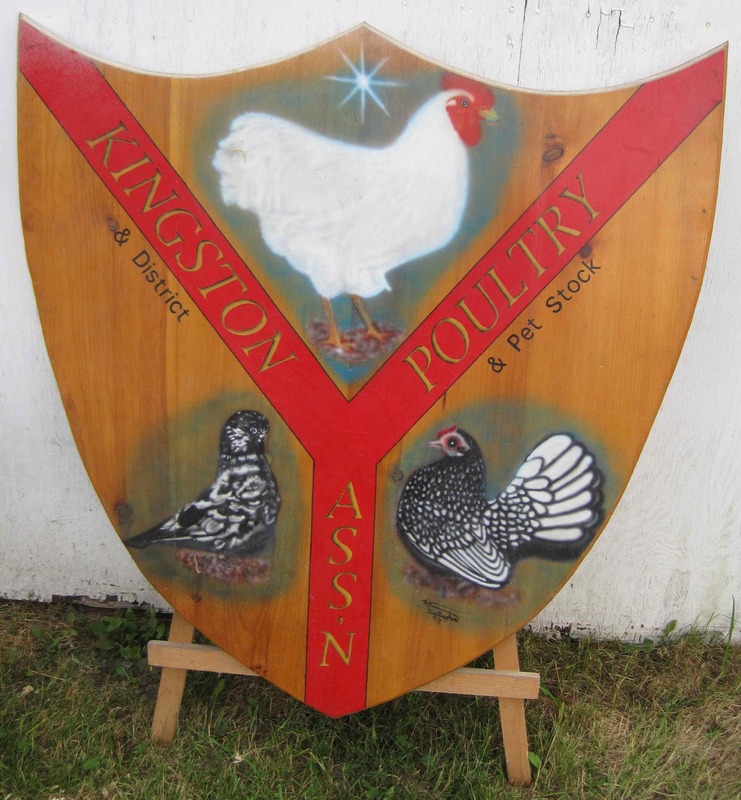 Upon his passing, Walter was honoured by the KDPPSA with the creation of the "Walter Christmas Trophy," which was awarded for five years. 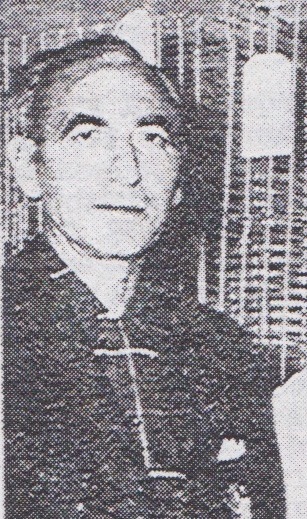 Robert (Bob) and Lillian Gilpin were founding members of the KDPPSA, with Lillian serving as the first Club Secretary. Vince Pople was a long time KDPPSA member, who dedicated many years to Club service. 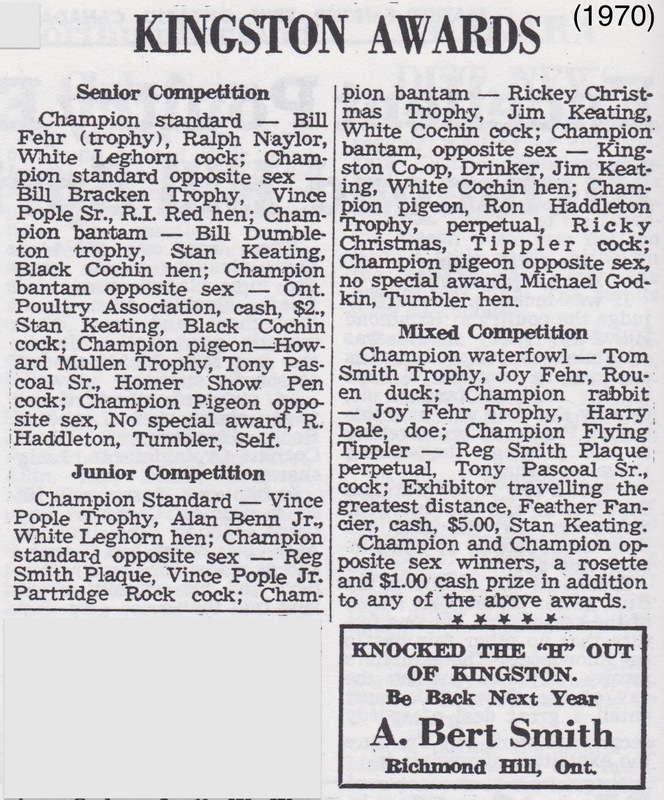 Upon his passing, Vince was honoured by the KDPPSA with the creation of the "Vince Pople Trophy," which was awarded for five years. 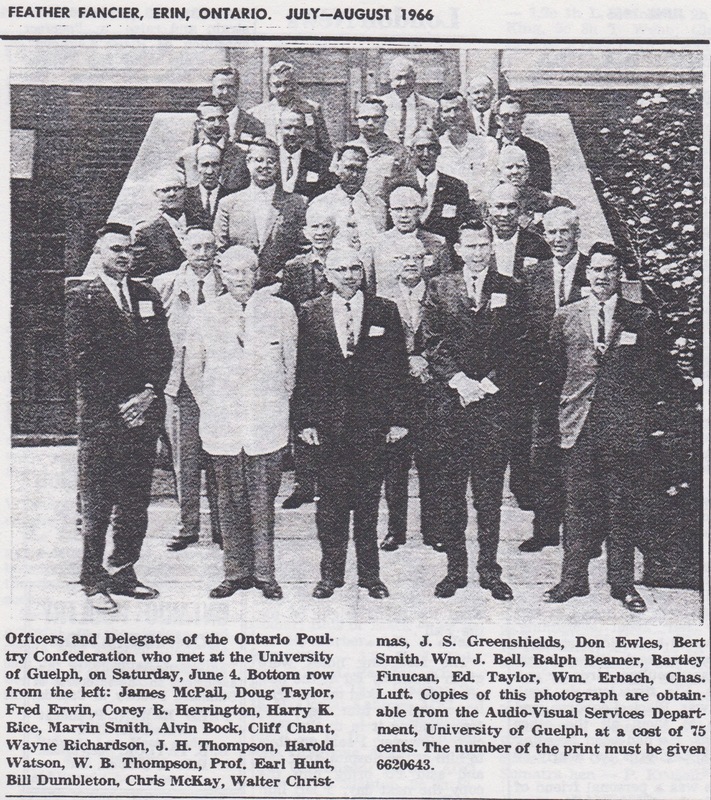 This sections contains some historical newspaper clippings about KDPPSA activities. These are taken from the Feather Fancier. Where appropriate, the year of publication has been noted in parentheses at the top of the clipping. 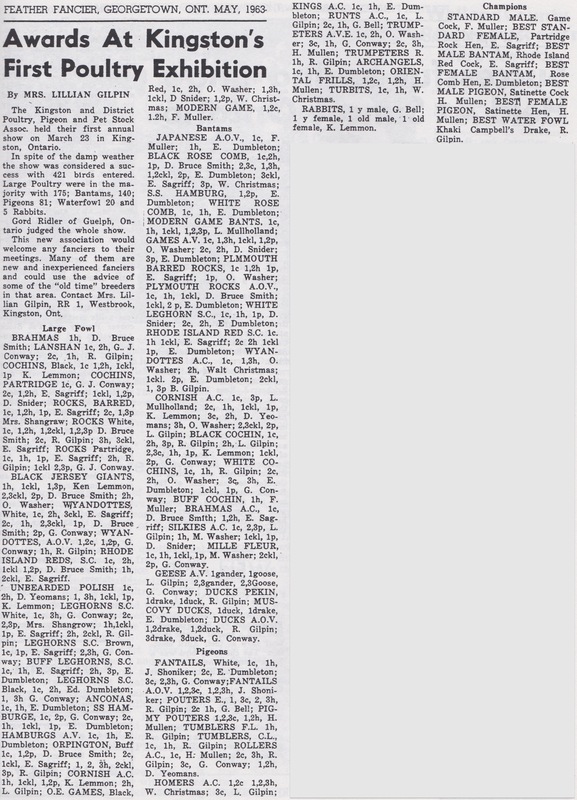 If you find the clippings difficult to read, your browser's "zoom in" option may be helpful.